Bishops went to second placed Guisborough Town on a high after beating the impressive Morpeth Town on 2nd March. Guisborough began the game unbeaten at home so far this season winning 8 and drawing 5 of the 13 games played at the King George V ground to date. 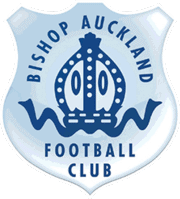 Bishops Manager Steve Riley had a full squad to choose from and the in-form striker Andrew Johnson was looking to continue his goal scoring form where he is in strong contention to be the league’s leading scorer once again. Bishops began the game lively; Guisborough began by playing the ball from the back but the Bishop midfield controlled the game and our defence was solid. After 15 mins Johnson was upended in the penalty area but referee ignored the penalty appeals. On 21 minutes Sam Orritt played a good ball to Fred Woodhouse whose shot was well saved by the Guisborough keeper. 2 minutes later Bishops put the Guisborough defence under more pressure when Woodhouse took the ball to the touchline and crossed the ball and Colquhoun racing in fired the ball onto the post. Bishops took the lead on 28 minutes; Griffiths was fouled and from the free kick Johnson headed goalwards, the Guisborough keeper palmed the ball onto the bar and Johnson moved in to tap the ball home for his 24th league goal of the season. On 36 minutes Bishops nearly increased the score when a Griffith’s corner was glanced onto the bar by McCarthy. Bishops saw out the first half maintaining their lead and an all-round solid performance from the team restricted the number of chances Guisborough had to level the score. The second half saw Adam Nicholls replace Fred Woodhouse, a move that continued to keep the pressure on the Guisborough defence and on 60 minutes another penalty appeal was turned down after Johnson was once again fouled in the penalty area. Guisborough did come back into the game in the second half and on 75 minutes Hoganson got his body in the way to deny a powerful shot going goalwards and 4 minutes later keeper Ed Wilczynski made a good save to keep Bishops in the game and on 80 minutes there was another chance for Guisborough but the header flew just over the bar. Bishops sealed the game on 89 minutes when Nicholls slipped long ball to Johnson who controlled it on his second attempt after the ball hit a bobble and he put the ball wide of the keeper to put the result in no doubt. « Latest News – Parking for next two home games Washington and Ashington!